We at Shiny Book Review wish everyone a fun, yet safe Fourth of July holiday, and will return on July 5, 2012, with more book reviews, more contests, and more SBR-induced fun for everyone (OK, we made that last part up). See you all July 5. Just a reminder, our April contest is currently underway. 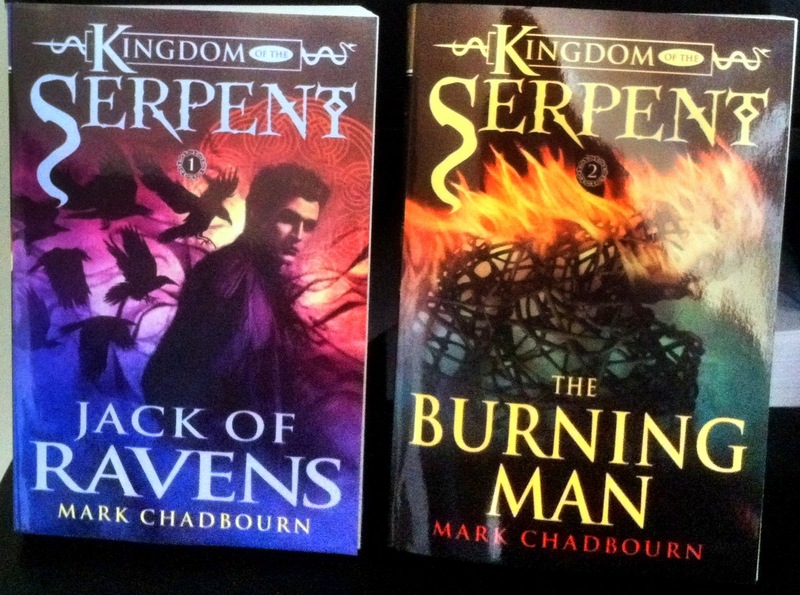 You can win two books (Jack of Ravens and The Burning Man, books 1 & 2 of the Kingdom of the Serpent series by Mark Chadbourn) by simply following us on Facebook. We’ll ship it just about anywhere (well, anywhere within the US I mean… it’s expensive shipping it overseas). Contest has been extended to next Friday, April 13 (ooh!). If you already “Liked” us, then “Like” one of our recent posts and you’re entered. We really want to give these books away. Really, we want to give you these. Yes, I was won by two different people. Good thing Shiny Book Review had two copies. 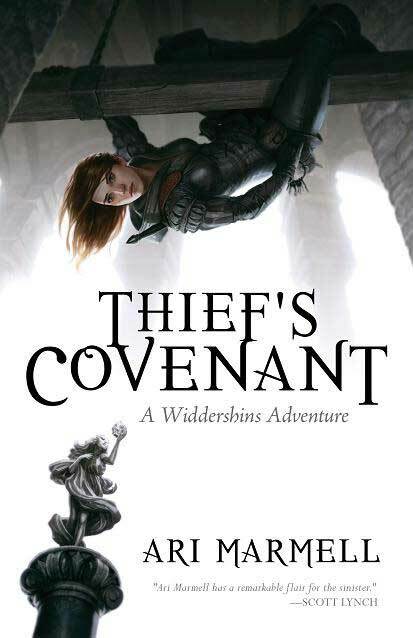 Over at our Facebook page (like us, oh please like us…) we had a competition for a free hardcover of Ari Marmell’s Thief’s Covenant. It went over so well that we chose two winners: Mystik W. and Jessica P. Both winners have been notified and their books will arrive within the next week or so. 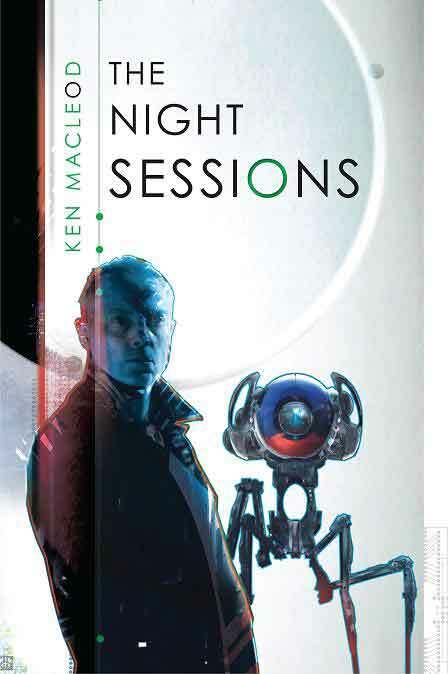 Stay tuned, as our next giveaway is going to be a copy of Ken Lacleod’s The Night Sessions. It’s hard to believe that we at Shiny Book Review are going on our second year in existence. It seems like only yesterday when we came up with the concept of reviewing books for our own enjoyment. Who knew that so many of you would agree with us? We are all very, very flattered and thankful that you’ve hung around and continued to support our efforts. In 2011 we reviewed 81 books and had 1 interview. That’s about 1.5 book reviews a week, give or take. 2012 looks even more promising as we continue to receive more and more books from publishers looking at us to review their latest (and upcoming) wares, as well as other books coming out later in the year that all of us really want to read. We also had guest reviewers for the first time, and welcomed new potential reviewers to the fold. We also said goodbye to friends who have moved on to greener pastures or have been forced to focus more on their studies. So here are our favorite books of 2011. We hope you enjoyed them as much as we did. They are listed in no particular order. So there you have it, our favorite books of 2011. Agree? Disagree? Let us know. Enjoy your New Year’s celebration. We’ll see you January 1st. We here at Shiny Book Review want to wish everyone a safe and happy holiday season. I (me, Jason…) won’t be back on SBR until Dec 27, and I’m assuming that Barb and Rebecca will do the same. We have new reviews coming soon, and can’t wait to see what ends up in our mailbox for 2011.